RECOGNITION FROM DILG. Mayor Mel Aguilar received the certificate of recognition from the Department of Interior and Local Government (DILG) at the program held during the flag ceremony last Monday. 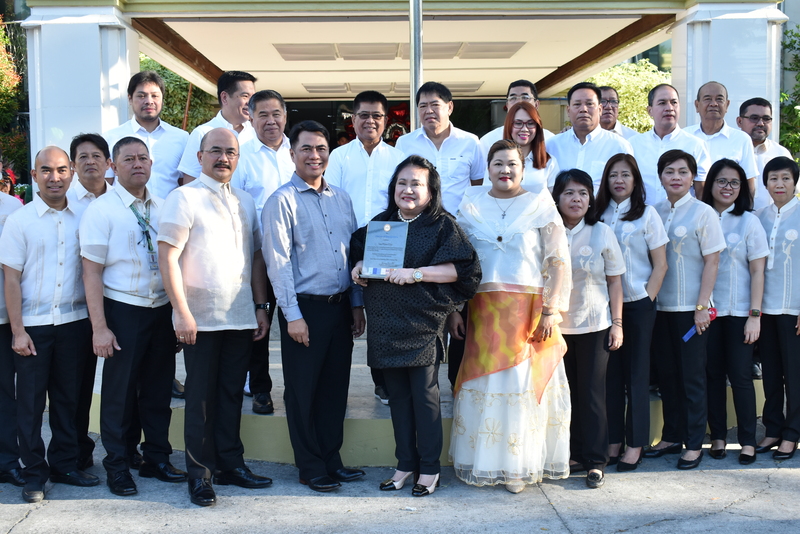 The award is in recognition of the city government’s initiative in Good Financial Housekeeping passing the standards set by the Bureau of Local Government Supervision of the DILG. Atty. Odilon Pasaraba (4th from left) – Director of the Bureau of Local Government Supervision and Jovial Ingeniero (3rd from left) – Asst. Regional Director (DILG-NCR) presented the award to Mayor Mel Aguilar. With them were DILG Las Piñas City Director Mary Anne Planas(6th from left), City Councilors and Department Heads.